A very short hair cut with a mixture of lightest pearl and gold blond. 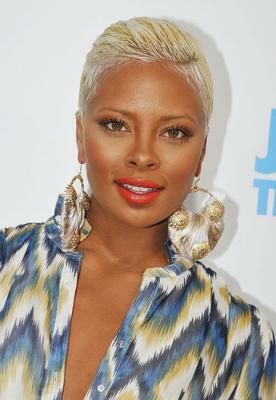 Dark or tan warm skin tone best suited when golden tones mixed in their hair color. Fun to try but not always the most flattering color for darker skin tones.